Description: Last time we connected a pie to an electric motor, it made a mess of the kitchen. 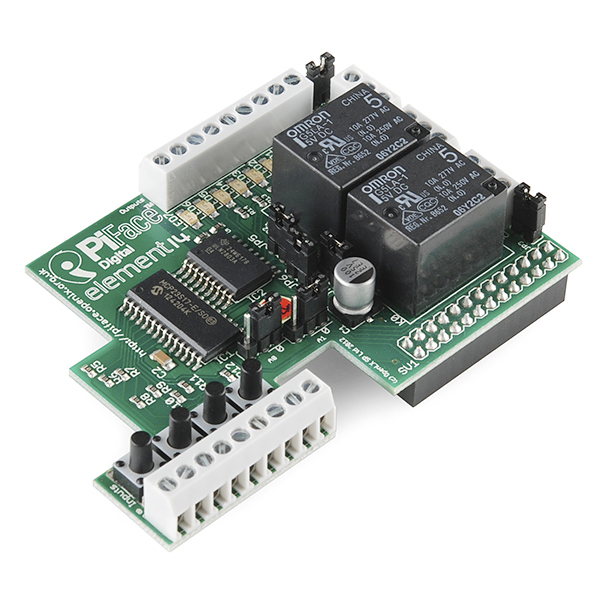 It turns out that raspberry pie is still a challenge for motors... Raspberry Pi, on the other hand, can totally hook up to all kinds of controls and sensors thanks to the PiFace Digital expansion board! Programmala come desideri,o segui la documentazione esistente per Python e Scratch! Tutto i connettori input ed output sono a vite,permettendo di collegare il tuo Pi a qualsiasi sistema esterno.